Walk down any British high street and a wide selection of restaurants will come quickly into view. A large proportion of these will serve pizza, from independent pizzerias to successful takeaway chains. Pizza is big business, just ask Domino's Pizza. 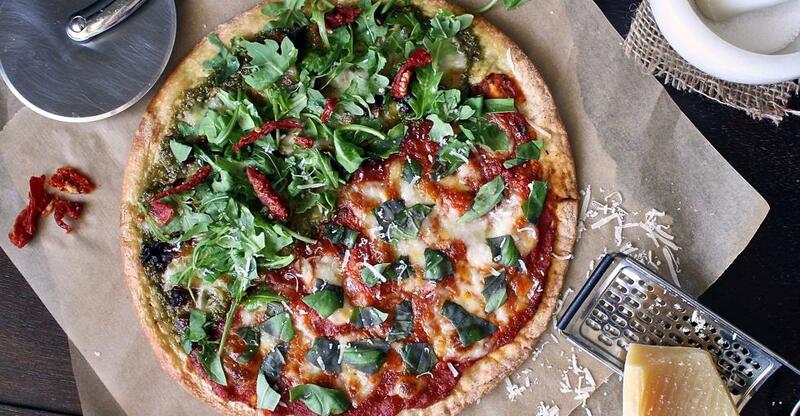 The largest UK pizza chain recently reported a hefty rise in sales (6.6%) - equating to hundreds of thousands of pounds - in the first quarter of 2013 alone. There are three factors that have propelled the success of the humble pizza from tasty foodstuff to small business money-maker. Primarily, it is quick to produce, secondly, the basic ingredients are readily available and inexpensive. And lastly, it is a fast-moving consumer product that makes customers happy, thus making for a recession-proof food business. Pizza is globally adored. The plethora of brands available to customers is astonishing, with many cities worldwide having an affiliation with the bread-based treat. And in the age of fast consumer media, it's now very easy to order a pizza using a smartphone, or a laptop, as well as walking up the road. Plus, many (non-pizza) fast food restaurants have broadened their offering by installing a pizza oven in order to add pizza to their menu. Pizza ovens can set wannabe pizzeria owners back as little as £200, although craftsmen will say that there are huge variations in quality of brands. In fact, pizza is one of the simplest meals to make in bulk - consisting of large round pieces of bread covered in tomato sauce, cheese and a variety of toppings. It can take as little as two minutes to make a pizza and roughly ten minutes to bake it - purists believe that the best way to cook it is to quickly blast it in a wood or gas fire oven as those pizza ovens are actually much hotter than the average kitchen oven - making it much more expedient than other food options. There is also a current fashion for pizza to be so very cheap. In New York City most street corners offer 'dollar slice' pizza - generally considered as sub-quality by pizza business owners, but loved by customers in cold weather wanting an inexpensive soothing snack who will readily hand over their dollar notes. Pizza is also renowned for its ability to appeal to a wide audience, as it can be personalised to each purchaser's needs. In a world of patrons requiring dishes made just the way they like them, pizza easily meets these demands. Finally, it's good to know that independent businesses are still plying a successful trade. Nav Kumar, a former IT consultant who bought and now runs a successful independent pizzeria considers demand and individual products as key to making it in the pizza business. "Look where the demand is" he advises. "You might see a pizzeria round the corner, and you've got the high street competitors. You have to look at all angles. "As a first-time business buyer you need to see what demand there is, what you're going to sell, and how much you want to invest." .